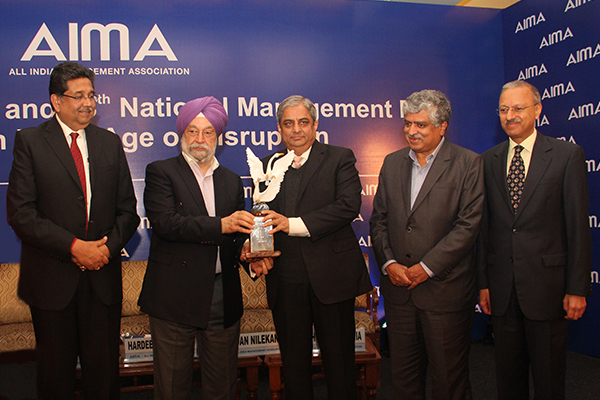 AIMA has been in the forefront to foster and enhance excellence in Management, Entrepreneurship and Leadership. Every year AIMA honours distinguished and eminent personalities, who have made outstanding contribution in the corporate world and professional management. This Award has been established as one of the most prestigious awards in the country. The Award carries a beautiful rolling trophy along with a citation and a cash component of Rs.2 lakhs. The Award has been instituted by Tata Chemicals Limited.